This seminar allows immersing into an interdisciplinary process of aesthetic transformations with the Berlin city space as a starting point. A focus lies on the idea-generating process. How does inspiration come about? How do we find ideas? Aesthetic Transformation embraces processes of mutual inspiration and influence within the arts and other fields of cultural and scientific knowledge production. It is based on the fundamental idea that every creative work operates in a system of relationships to other fields, disciplines and to what others have alredy created. Together, we will initiate a transformation process in which participants from various artistic disciplines will find their inspiration in the predecessors' works and create their own work and new ideas based on it. This will include application of chance operations, strategies of improvisation and provisional solutions in order to accelerate the creative process. This course is aimed at artists of all disciplines, designers, architects and people working in the creative sector and who would like to experiment in an interdisciplinary environment. The participants will make use of the transformative strategy to find inspiration and develop their ideas. Group conversations and readings will allow for a critical inquiry of contemporary art practices. The starting point for this seminar will be determined together with the participants (eg., chosing the location in Berlin). Sound, performance, dance, sculpture, visual or conceptual artists, designers and architects will produceart work as a first response to the chosen topic. Sequential works that act upon multiple interpretative statements of the participants will be developed. Individual works will be connected to others, and, in this way, a collective, multi-perspective investigation on the chosen topic will be unfolded. But also, within their respective media and practices, artists will be encouraged to focus on hidden or latent aspects of inspiration and influence by posing following questions at the end of the course: What was referred to or emphasized on in the transformation process? Where does an idea pull itself through? What was dropped? And looking back at their own work: What impact did it have? David Evans, Appropriation (Whitechapel: Documents of Contemporary Art); Gundel Mattenklott: Sympoetry. Dialogical Art – Art in Motion; Antje Havemann, Margit Schild: The principle of a Number of People; Ursula Brandstätter: Transformations between the Arts: An Attempt at Systematisation; Ingrid Koenig : An artist’s Navigation of the Uncertainty Principle, Schild & Hufschmid: A Genealogy of Impacts. On the practice of artistic transformation: three examples; Kathrin Busch: Grafting, contaminating, parasitizing. On the aesthetics of transformation; all articles in: Künstlerische Transformationen. Modelle kollektiver Kunstproduktion und der Dialog zwischen den Künsten, (Artistic transformations. Models of a collective art production and the dialogue between the arts), (Eds) D. Jäger, V. Franke, M. Schild, K. Busch, J.v. Hasselbach, E.Hufschmid et al, Reimer Verlag, 2010. Koenig, Schild & Hufschmid: RAW DATA. Artistic Transformation, 2012; Robert Frodeman, Julie Thompson Klein (Eds): The Oxford Handbook of Interdisciplinarity, 2017. Elvira Hufschmid is a multi-media artist, curator, and author in the field of processes of aesthetic transformation and temporary art spaces. 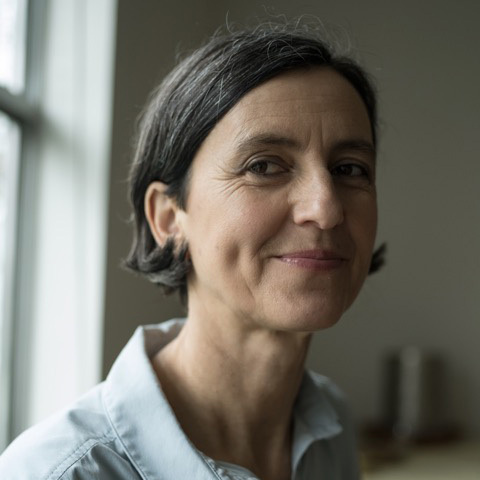 She collaborates with Dr. Margit Schild as a fellow/affiliated researcher at the Berlin Centre for Advanced Studies in Arts & Sciences (BAS) at the Berlin University of the Arts, with the research project Leaning Out of Windows – Art & Physics Collaborations through Aesthetic Transformations. Associated to Emily Carr University in Vancouver, Canada, the project brings international scholars and researchers from major particle physics laboratories (TRIUMF Vancouver, Fermilab Chicago) into a conversation with an international team of contemporary artists in order to explore how knowledge can be translated across (disciplinary) communities. Elvira received her MA in New Genres from the San Francisco Art Institute, US, and is currently a first-year Ph.D. candidate in Cultural Studies at Queen’s University, Canada.